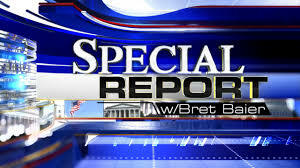 Earlier this evening, I had the pleasure of joining the Special Report panel. My first comment at the 25m35s mark - as linked here - concerns Trump's Chief of Staff pick and divergences in international political strategy in dealing with Trump. My second comment at the 32m31s mark - as linked here - concerns Trump's national security team. And why Trump is more restrained since winning the election. I reference my National Review piece (read here). Also relevant is my guest piece for CNN (read here). My third comment at the 41m03s mark - as linked here - concerns Trump's first 100 days. Thanks for watching! My full TV link page can be found here.